Slight spoiler warning: If you've yet to play through Batman: Arkham City, you'll want to stop reading. It should be obvious by the title of this article, and most would say that enough time has passed to make this no longer a spoiler, but you've been warned fairly. Amongst Batman nerds, there exists a theory and an understanding that the Joker serves to balance out Batman. He's the dark chaos to Batman's light order, and this notion is explored again and again in the comics and films that star the Dark Knight and his comedic arch rival. At the end of Batman: Arkham City, Rocksteady managed to find a way for the Joker to die. That leaves Batman's scale out of balance, and something needs to fill the void. Rocksteady's Gaz Deaves took to Reddit recently for an AMA. In that AMA, Deaves was asked what killing the Joker in Arkham City did for the story in Arkham Knight. [Arkham writer Sefton Hill] has said that when they started work on Batman: Arkham City, they had the vision of the final scene Joker's death almost from the start, and looked at the story from the perspective of the events that would lead to that point. With Batman: Arkham Knight, that ending is the point that we jump off from, asking "what happens when Joker is removed from Gotham" and looking at the fallout from those events. Arkham Knight will feature a new villain (whose name is the title of the game), and we'll see how this Gotham monstrosity fills in the gap left by the Joker's death. 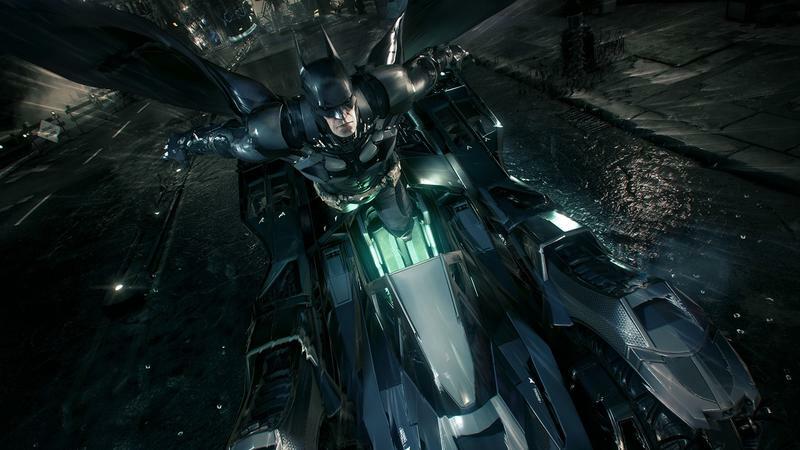 Batman: Arkham Knight is slated to hit the PC, PlayStation 4 and Xbox One in June of 2015. We'll have more on the game as it comes.